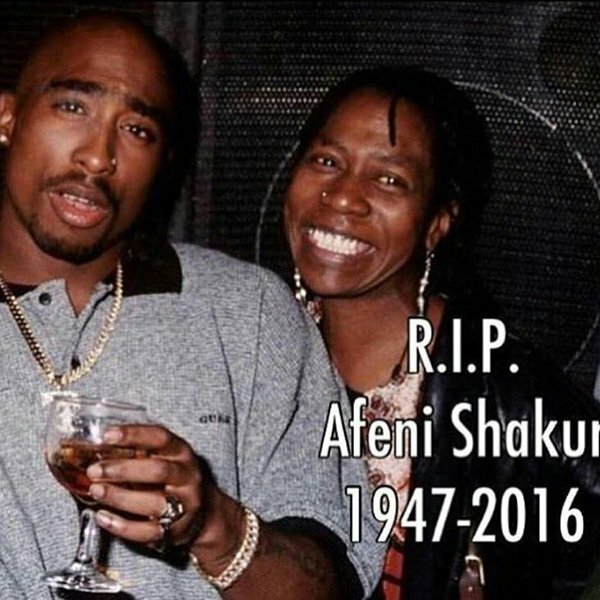 2Pac Mom Afeni Shakur dies at the age of 69 from Cardiac arrest. 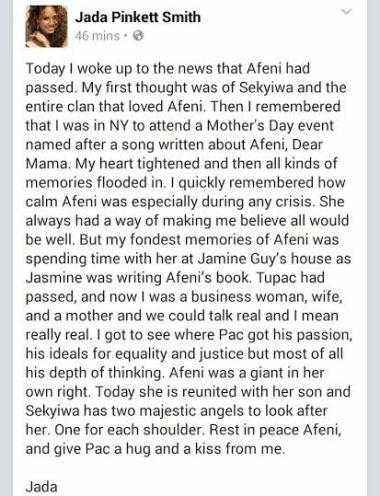 Tupac mom died.The mother of Tupac Shakur has died aged 69.Afeni Shakur the ex Black Panther had been in charge of his estate after he passed away almost 20 years ago.This is very sad.Two great personalities who championed the black community,mother and son gone like the wind.We should at least be thankful that Afeni Shakur was way around longer than her son 2Pac. 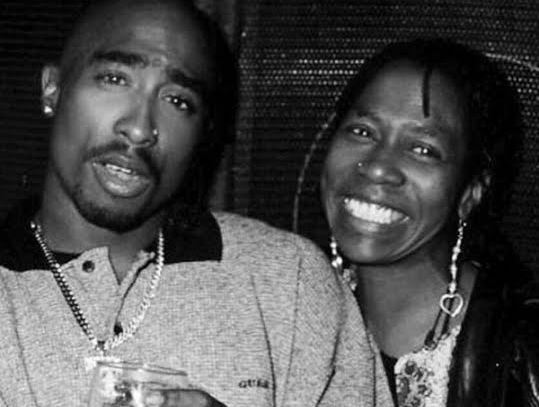 "Renown rap artist #Tupac Shakur's mother Afeni Shakur Davis, age 69, died late last night in Marin County." The Marin County Sheriff's Department confirmed her death via Twitter, adding that deputies responded to a possible cardiac arrest situation at her Sausalito home yesterday and transported her to a hospital where she was pronounced dead. Born Alice Faye Williams in 1947, she was a member of the Black Panthers and served 11 months in prison, during which time she was pregnant with Tupac. She served as her own defence attorney and was acquitted of multiple counts. She was released from prison shortly before her son's birth in June 1971. Thanks to the death of her famous son,the American philanthropist Afeni Shakur estimated net worth was $50 million in 2013. This ex-Black Panther is also a former political activist and philanthropist. 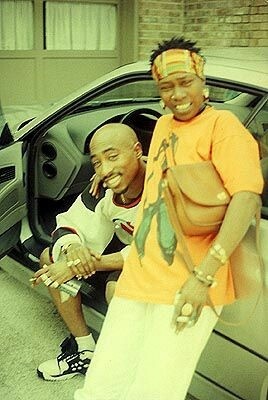 She sadly has now joined her deceased rapper son Tupac Shakur.